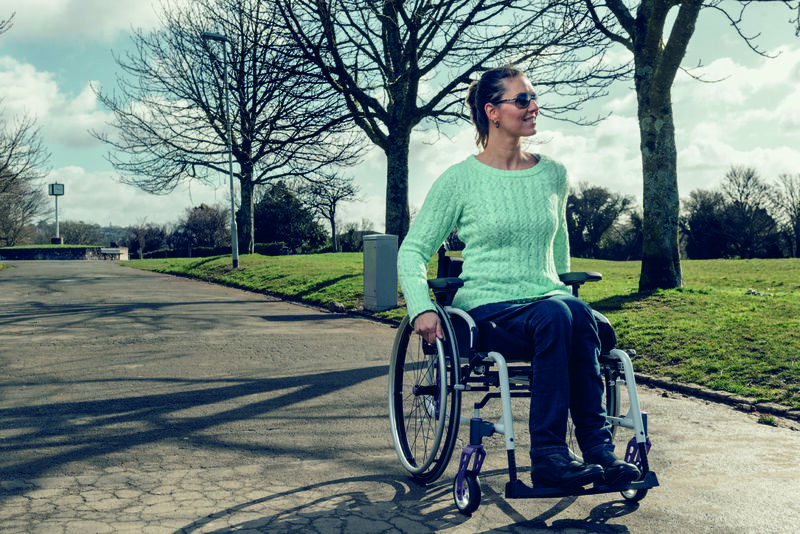 Losing your independence is one of the biggest fears for many wheelchair users. The prospect of being reliant on others to do the simplest things, or to go anywhere is very restricting. Choosing a self propelled wheelchair (sometimes known as a manual chair) gives you the freedom to get where you need to be without having to rely on others to take you there. You can get out to the shops, or take a trip to meet friends by yourself, all at a time that suits you and not someone else. 1 Is a self propelled wheelchair right for me? 2 What are the other advantages of self propelled wheelchairs? 3 Where do you want to go with you manual wheelchair? Is a self propelled wheelchair right for me? If you are considering a self propelled wheelchair you will have to think about whether you really want to push yourself around all of the time. It does require some strength to keep yourself moving, so if you are older or lack strength, you may prefer to choose an electric wheelchair. However, if you have the ability to propel it, a self propelled wheelchair is the best option, because its very light, easy to use and maintain. Your doctor or rehabilitation specialist will make this decision with you and help you get the best equipment. Self propelled wheelchairs can be moved by using both arms, which means that it provides some exercise that it’s good for your health. However, if used incorrectly, it can lead to arm injuries from repetitive movement. Its is very important that you ask your therapist to teach you how to propel it correctly in order to increase efficiency and avoid injuries. 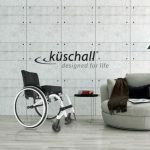 In case you feel that you could use a manual chair most of the time but you need an extra propulsion here and there, there exist some solutions that allow you to add a small and light motor to you manual wheelchair that helps with the ascensions. What are the other advantages of self propelled wheelchairs? It is important to understand that manual wheelchairs look very different to electric wheelchairs. Wheels: They have rear wheels which are much larger than the front wheels. 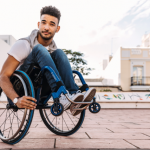 This is important when it comes to propelling them, but it also has the distinct advantage of offering a more comfortable ride over uneven ground than many wheelchairs do. Ride: An electric wheelchair often gives a rougher ride over gravel, or other uneven surfaces due to the smaller size of the wheels. This is why you will often find wheelchair users who prefer self propelled chairs, even with assistance, rather than electric wheelchairs over rougher ground. Movement: With practice it is possible to learn to balance the chair on just the two rear wheels, allowing the chair to negotiate kerbs, high thresholds, and grassed areas that would otherwise cause a barrier and prevent the chair from proceeding further without help. Being able to negotiate these barriers opens up a much greater freedom of movement for chair users and lets them go to places that would have been inaccessible to them before. Where do you want to go with you manual wheelchair? Enjoying the freedom of getting around by yourself is wonderful, but you still need to carefully plan your route to ensure that you won’t find yourself stuck anywhere by an unforeseen obstacle. A self propelled wheelchair allows you greater freedom of movement but it also means that you are likely to be by yourself if you do run into difficulties, so working out your route in advance if you are travelling anywhere new is essential to ensure a smooth, uneventful journey. 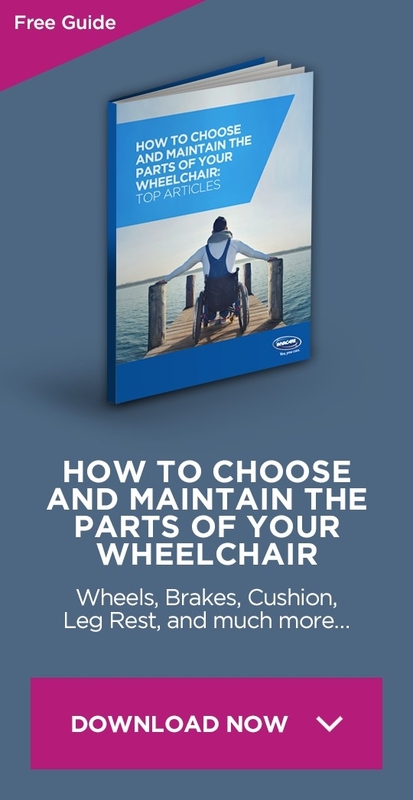 Once you have some experience using a manual wheelchair you will find that you are able to get around quicker, and with considerably more ease, than would otherwise be the case.